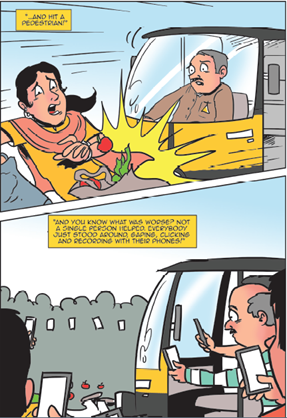 Uber, the world’s largest on-demand ride-sharing company, marked the 30th National Road Safety Week by reiterating its commitment to the cause and launching a comic series drafted by the authors of Amar Chitra Katha Media and Tinkle Comics to reach young audiences in India. The comic series was launched by Shri Nitin Gadkari, Hon'ble Minister for Road Transport & Highways. India accounts for 12.5% of global road accidents, with 150,000 fatal accidents annually. It, therefore, becomes imperative to spread awareness about driving under the influence of alcohol. 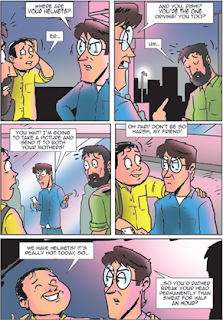 The comic series launched by Uber not only stresses the consequences of drinking under the influence but also brings to light the ill-effects of riding without helmets and informs Indian youth about Good Samaritan Law. Uber believes that safety is a shared responsibility for which Uber, riders, driver partners and law enforcement authorities have to work hand-in-hand in order to produce positive results. Over the years, Uber has launched various initiatives to reaffirm its commitment towards safety, including UberBADD (Bars Against Drunk Driving) in Kolkata, the ‘Don’t Drink and Drive’ campaign in Pune. We have also partnered with law enforcement agencies - for integration of the Uber rider app with Delhi Police’s HIMMAT app and Kolkata Police’s BONDHU app. These complement existing safety features on the Uber App and allow users to connect directly with the Police control rooms in the event of an emergency. Aimed at furthering women safety in shared public spaces, Uber extensively helped with data collection in a joint initiative with SafetiPin to conduct safety audits. The audits tagged streets and localities in a city with safety scores based on certain set parameters that enable NGOs, communities, researchers, government to constructively utilise this data.